I just acquired one of these on ebay with my fingers crossed it would work. sadly ive not managed to get it working yet and today I found a major issue. 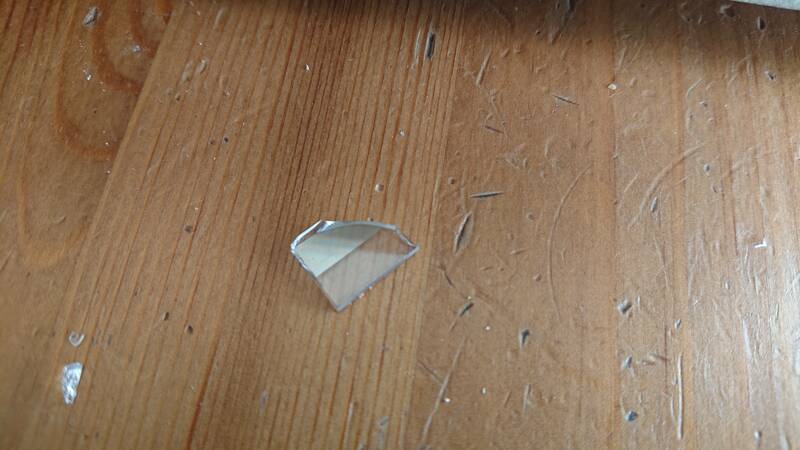 after buying various bits for it, today I noticed some broken glass. I say glass its clearly a specialist part. ive emailed burleigh (Bristol) to ask for some details on what the part does and if its replaceable, we will see how helpful they are. 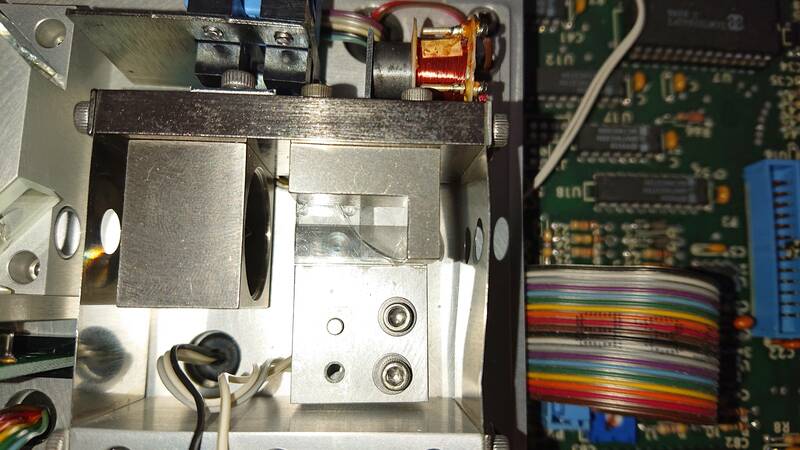 although if you look at closely at the photos where the sensor is, its not broken. Andy, is the broken part in there somewhere? If so, you should at least be able to see if it's coated. Have you tried checking if they have a patent on the technology used? That might give you a clue as to what the part does. Is it coated or etched. Stab in the dark, but looking at the last picture there appears to be some colour bands. Could this be a diffraction grating? 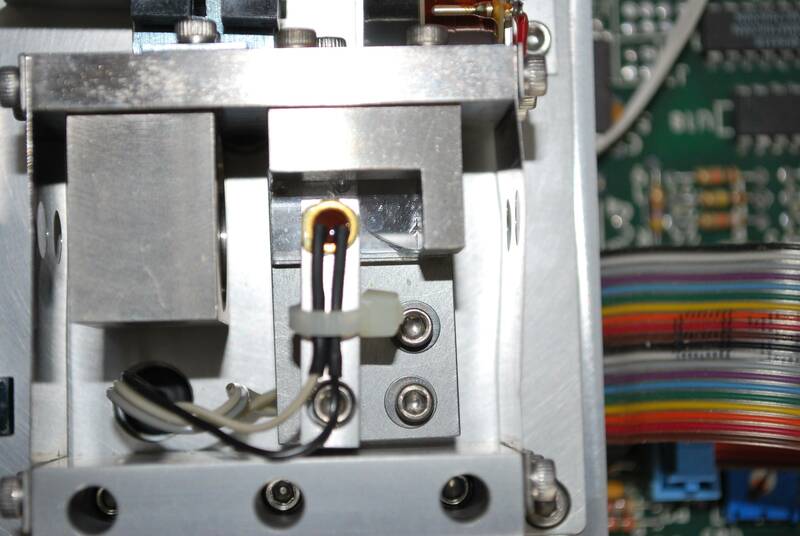 Not looked at any schematics, but I guess this is potentially what determines what wavelength of laser is being pointed in there before feeding back into the circuitry for the readout? Have you tried shining a white light source on/through the 'glass' to see if it diffracts? 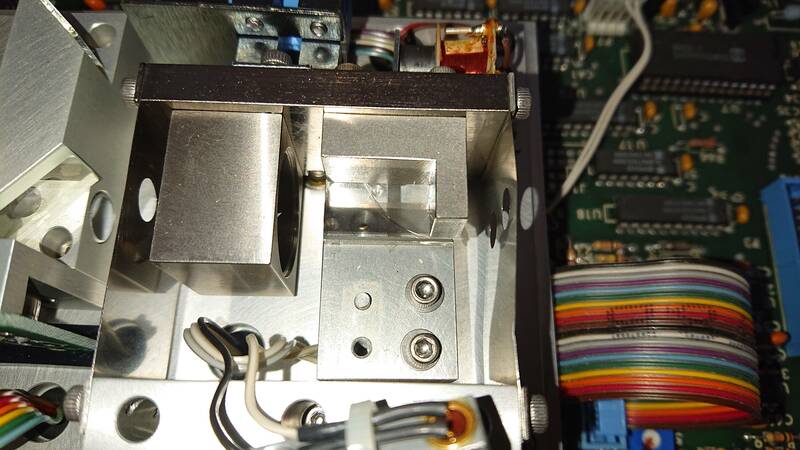 This part is nothing to do with the input laser, the laser doesn't get to here. This part is something to do with measuring the movement of the back and forth motion. 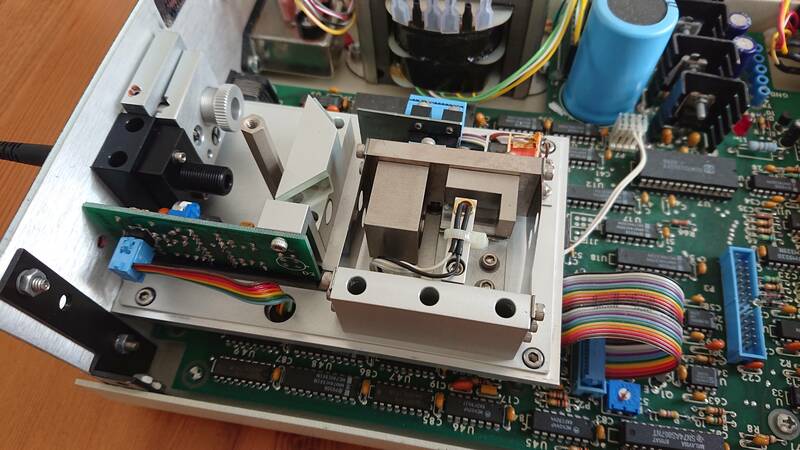 It is a linear scale, like that used for measuring position in CNC machines. It is a piece of glass with metal (usually chrome) on it and lines etched into it, which are optically sensed to produce a quadrature output from which position can be extracted. think is what I and Robin think it is.